Oh y'all. Oh, this is a good one. 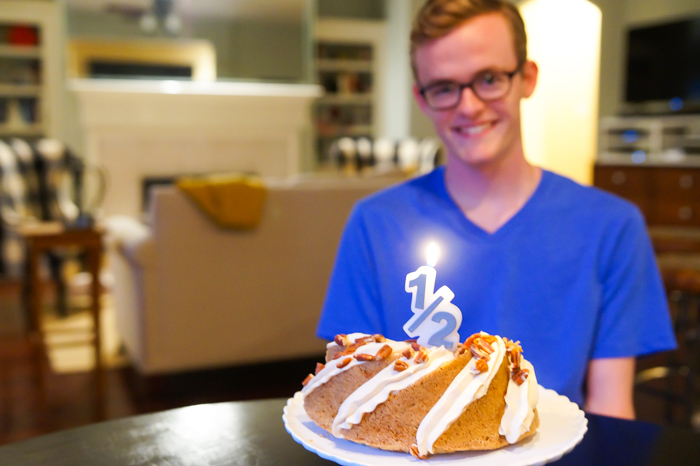 You know how we celebrate half-birthdays around here...you get 1/2 of a cake (usually a Bundt cake) to celebrate. It's a tradition that my mom started with my sister and me, and it's one of my favorite family rituals. Now that Jack's in college, he spends his actual birthday at school, so having him home for his 1/2 birthday was extra special this year. I asked him what flavor cake he wanted...one thing you should know about Jack is he's pretty happy with anything. I was surprised to actually get a preference out of him. He said he's like carrot cake or salted caramel. Immediately, my brain started spinning, and I thought, "kiddo, you're getting both." 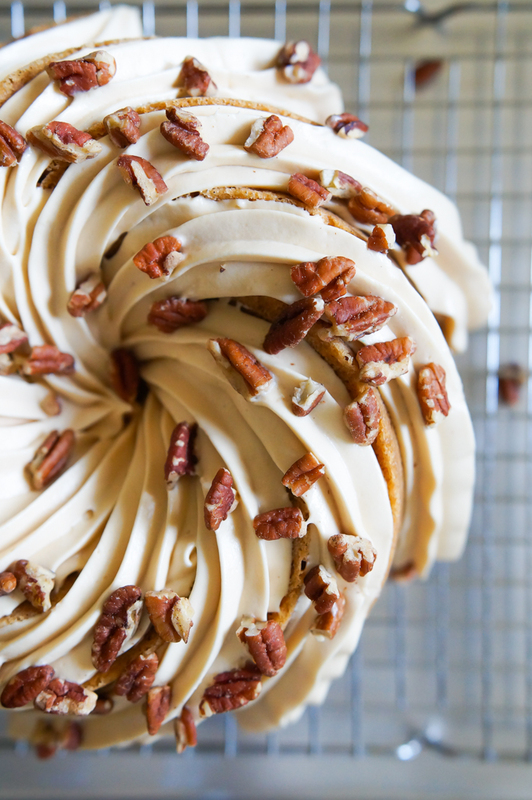 Carrot cake with salted caramel cream cheese frosting was born. You guys. It's INCREDIBLE. Mr. E took the other half to work, and he said he got compliments all day. Here's one example of a text he received, "That is the MOST UNBELIEVABLY SCRUMPTIOUS carrot cake I've had in my life!!!!! I'm not kidding!!! That HAS to be award-winning." I love a good carrot cake. 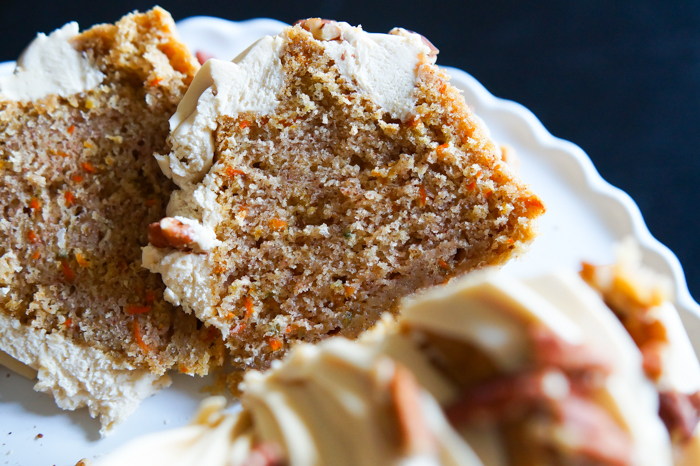 This one is lighter than my go-to carrot layer cake. I'm not saying it's diet food, but the texture is a bit lighter. Also, it's super pretty. I could not stop taking photos of it. This is the Bundt pan I used. 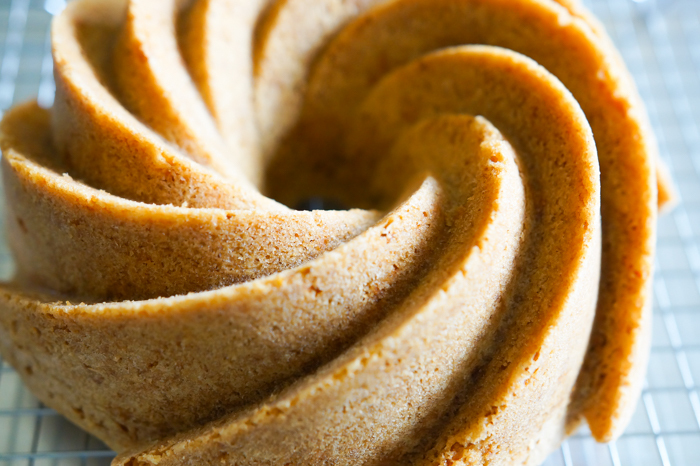 It's Nordic Ware's Heritage Bundt Pan. I love the swirls built right into the pan. 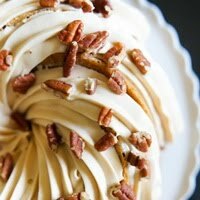 To me, carrot cake is not carrot cake without cream cheese frosting. 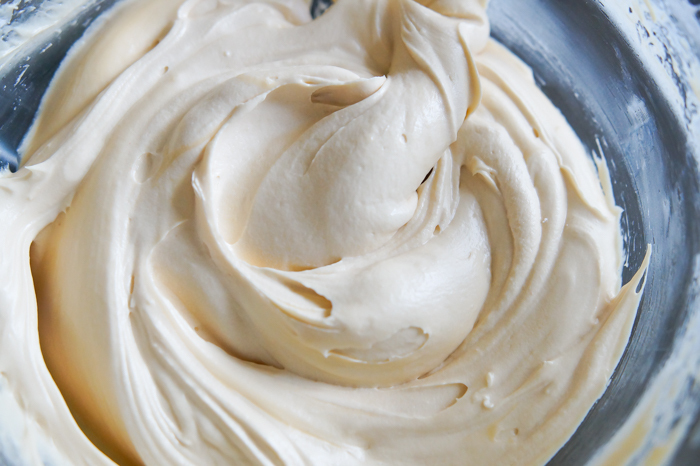 Making a salted caramel cream cheese frosting is one of the best ideas I've had in a while...or ever?!? Probably ever. I used a jarred caramel sauce. Just make sure to buy one that's on the thick side. Buy a tasty one, too. No skimping here; get the good stuff. (I used Sanders.) You'll have plenty leftover for ice cream. 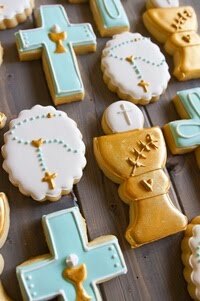 To pipe the frosting, I used a Wilton 1M star tip. 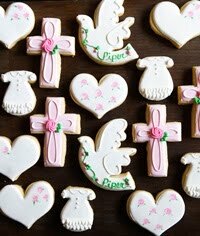 You can use whatever you have, or even snip the tip of a piping bag and pipe it on plain. 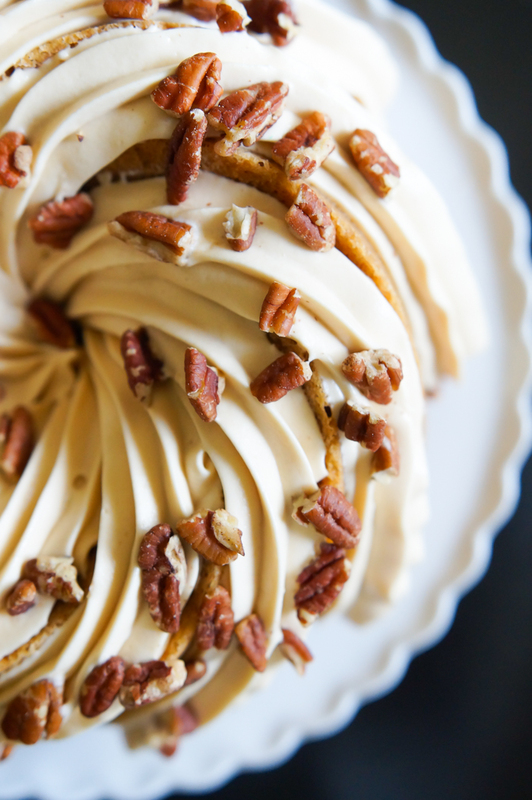 And yep, those are toasted pecans on the top. Toasting them just gives some oomph to the pecan flavor. Delectable. 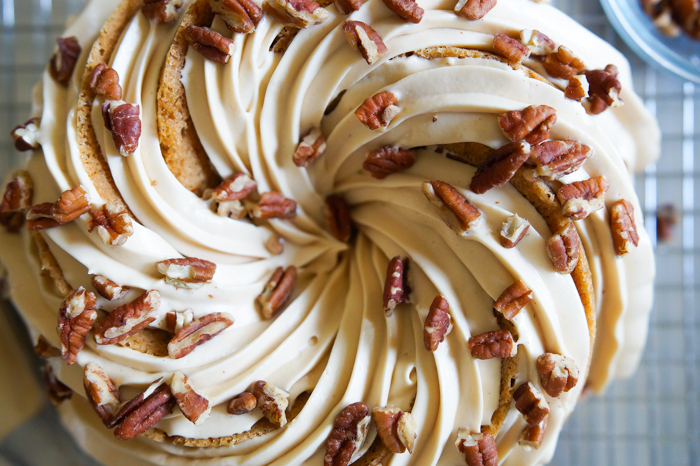 There aren't any nuts in the cake, so you can leave them off to make this nut-free. 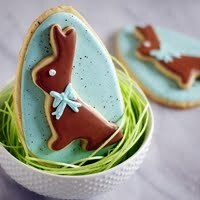 Sift the flour, cornstarch, baking powder, baking soda, cinnamon, and salt together. Set aside. Beat the sugar and oil together until combined. Beat in the eggs, one at a time. On low speed, add the flour in three additions. Stir in the carrots and grated ginger. Pour into the prepared pan and bake for 50-60 minutes, or until a toothpick comes out clean. Let cool for 5 minutes in the pan, then invert over a wire cooling rack. While holding the pan and cooling rack together, give the pan a few shakes and let gravity work to release. Remove the pan. If the cake doesn't release at first, try again. A knife can be gently run between the pan and the cake if needed. 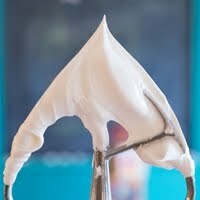 For the frosting, beat the butter and cream cheese until smooth and no lumps remain. Mix in the caramel sauce, salt, and vanilla. On low speed, add the powdered sugar 1/2 cup at a time. Scrape down the bowl as needed. Once combined, increase the speed to medium-high and beat until smooth and thick. Transfer frosting to a piping bag fitted with a large star tip. Pipe the frosting onto the cooled cake and down the center. Let the shape of your pan be your guide. Top with toasted pecans. 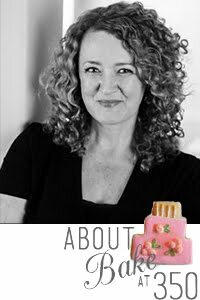 Store cake in the refrigerator and let it sit at room temperature for at least 15 minutes before serving. Half-birthday or not, you need this cake. 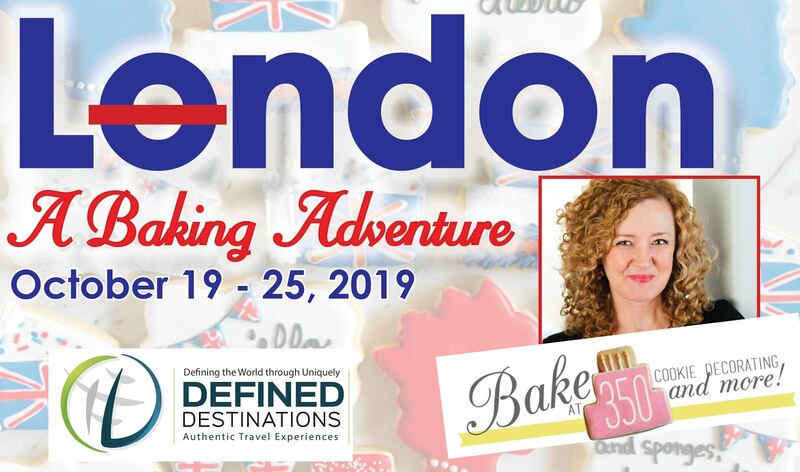 I need to know more about Butter Brickle! 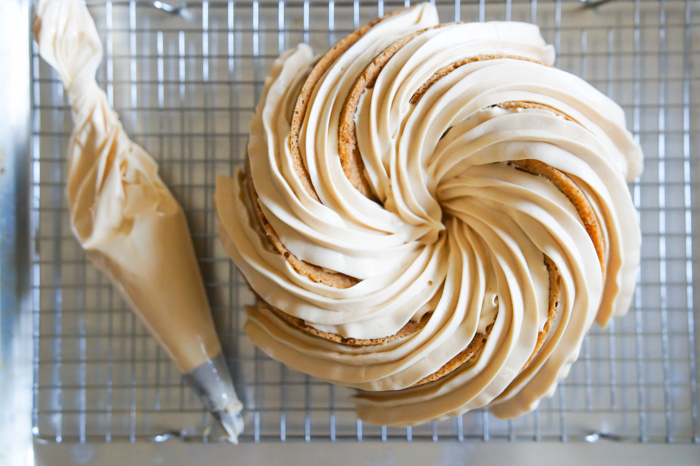 Salted caramel cream cheese frosting IS genius, Bridget!!! And, it's thick stiff enough to pipe and not run! Excellent job! 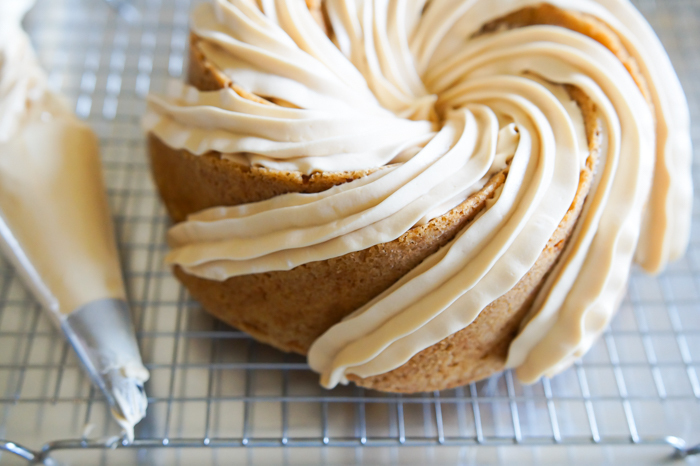 This carrot bundt cake is simply stunning! 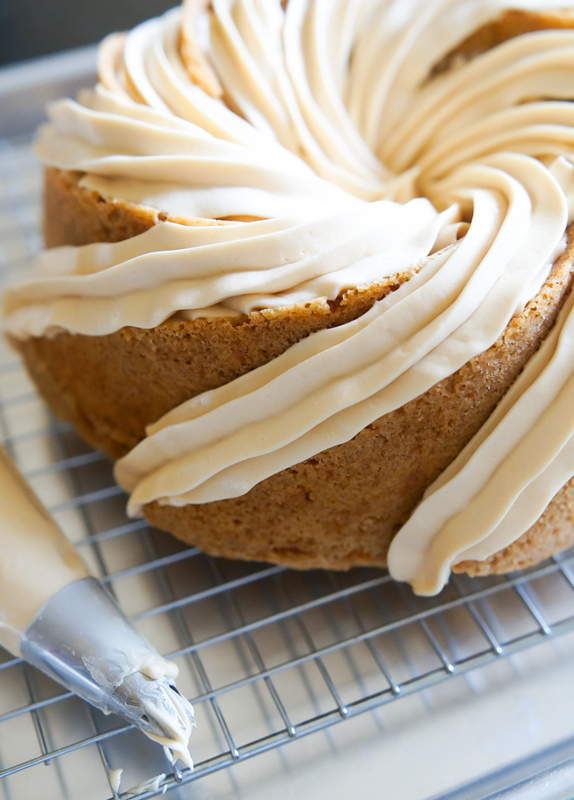 I love the added salted caramel cream cheese frosting - looks amazing! This cake looks absolutely delicious! I'm thinking I would like to try making cupcakes with this recipe...maybe a little easier to share with my co-workers. I absolutely love that birthday tradition! This cake looks fabulous and I an see why it was a hit. 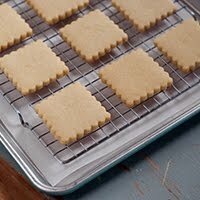 I am wondering if this would work out in a loaf pan or other type of pan maybe? The stuff you do is very eye catching. The way you create blocks is very beautiful. I appreciate your workmanship. So your bundt pan was the 6 cup version, right?